Mr: I’ve had these thoughts on death. If I ever blogged, it would be a post. I think death is necessary because “….” What do you think, honey? Mr: So can I guest blog on your site? Mrs: Without missing a beat. Nope. Mr: What did you say? Mr: Well, with the WordPress password you’ll be giving me, when you die I’m going to put up all sorts of poorly written posts with bad grammar. So no one’s getting my password. I’d rather die and leave A Holistic Journey a sealed vault of aspiration than let anyone spill a careless word in it. If you don’t hear from me for three months, know that I’ve been dining with CS Lewis. I’ll be looking over your shoulder as you blog. Keep those standards up or I’ll get mad and rattle your window. This entry was posted in Blogging, Marriage, Writing and tagged Blog, Blogger, Community, Humor, Love, People, Posts, Relationships, Success, Time, WordPress, Words. Bookmark the permalink. Hahaha. I could not stop laughing! Even as I write this comment, chuckles gradually follow after the initial burst. I especially love this statement, “I’d rather die and leave A Holistic Journey a sealed vault of aspiration than let anyone spill a careless word in it,” I have to admit, your husband got you good. Are you really that strict about good grammar? 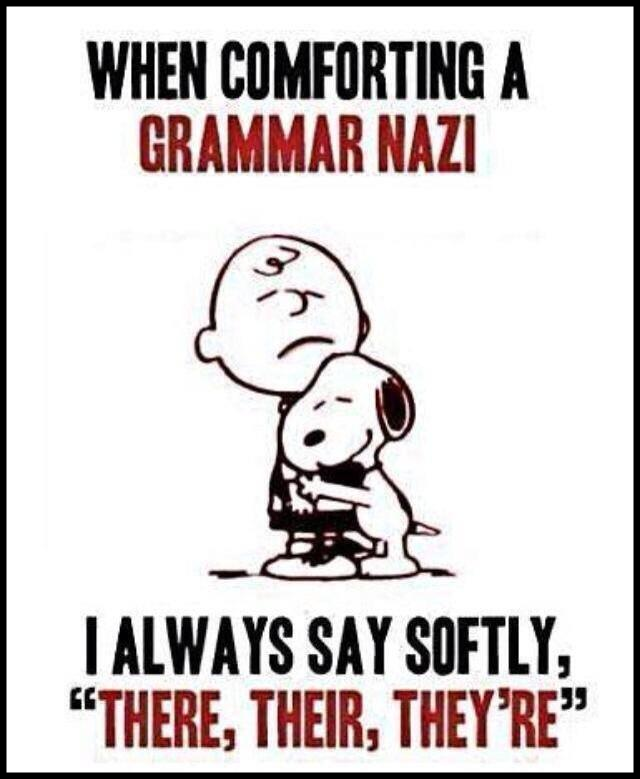 Sadly when i chat with my friends, I am still welcomed with misuse of the word, “you’re”. At least I do not have anyone writing stuff like that in a guest post! Hi Diana – thanks for the ‘like’ over on my post. Thought I’d come an check out your work – thanks for bringing me some big smiles on the hubbby stories! Thinking I might try out one of those coupons, ha! Do tell me how it goes!! LOL. What a riot! Love Peanuts and this one was a gem. I do bear some semblance to Lucy – in personality. LOL. Hahaha, this is hilarious. I admire how passionate you are about your blog. If I’m not, I can’t expect readers to be. =) Thanks for the follow. And happy holidays. Yep. ‘S how it goes around here. Thanks for the follow. =) Welcome.